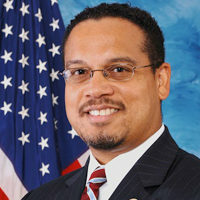 Rep. Ellison has represented the Fifth Congressional District of Minnesota in the U.S. House of Representatives since taking office on January 4, 2007. The Fifth Congressional District is the most vibrant and diverse district in Minnesota with a rich history and traditions.The Fifth District includes the City of Minneapolis and the surrounding suburbs. 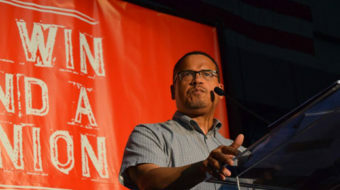 Rep. Ellison's philosophy is one of "generosity and inclusiveness." His roots as a community activist and his message of inclusivity through democratic participation resonates throughout the Fifth District. His priorities in Congress are: promoting peace, prosperity for working families, environmental sustainability, and civil and human rights. "Let's hit as many doors and reach as many voters as we can. There's too much on the line not to go all-in." 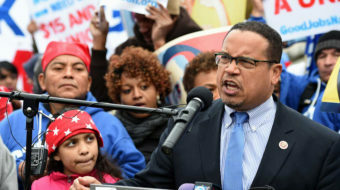 Their request is a simple one: A $15 an hour minimum wage and the right to organize a union.